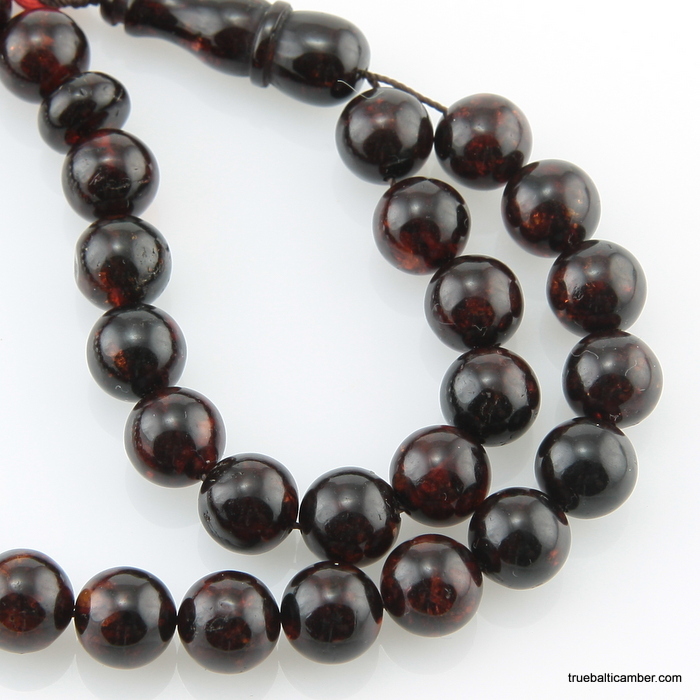 Islamic 33 pressed round beads are made of natural Baltic amber. 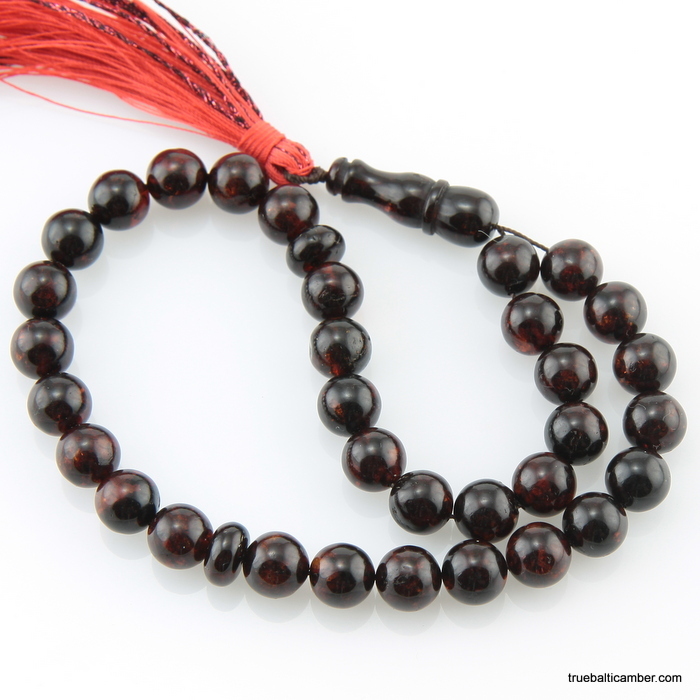 The difference between solid and pressed (Reconstructed) beads is number of stones used to achieve greater bead size. Technology is used to minimize production cost as solid Baltic amber is getting very expensive. 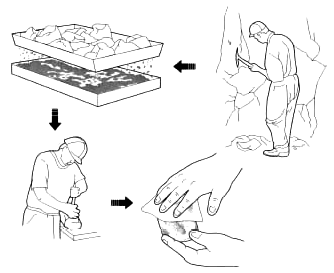 Manufacture process combines small amber pieces in order to make on large. Stones are chosen by color, quality, size and shape then are bonded together under high pressure without any additives (no chemicals, glue, synthetics are used at any production stage). Production line does not make it round, beads still have to be hand cut, formed to mainly round beads same as ordinary ones. Pressed amber has same qualities as solid one, smell when rubbed, floats in salty water. However under visual examination bonding patterns can be seen.